The Kerala Flood Relief Fundraiser Auction will feature works of master artists like F.N. Souza, K.G. Subramanyan, Krishen Khanna, Ram Kumar, Manjit Bawa, Thota Vaikuntam and Sujata Bajaj. "There will be no Buyer's Premium, and proceeds, in part or full, from this sale will be donated to the Kerala Chief Minister's Distress Relief Fund," Saffronart said in a statement. The auction house said it has a long-standing relationship with Kerala, which is home to many of India's leading modern and contemporary artists. Saffronart's CEO Dinesh Vazirani invited people to "open their hearts and give generously towards the cause". "We hope that this fundraiser auction will contribute in helping those in need during this national disaster. As we do our little bit to stand with Kerala, we urge you to do the same," he said. 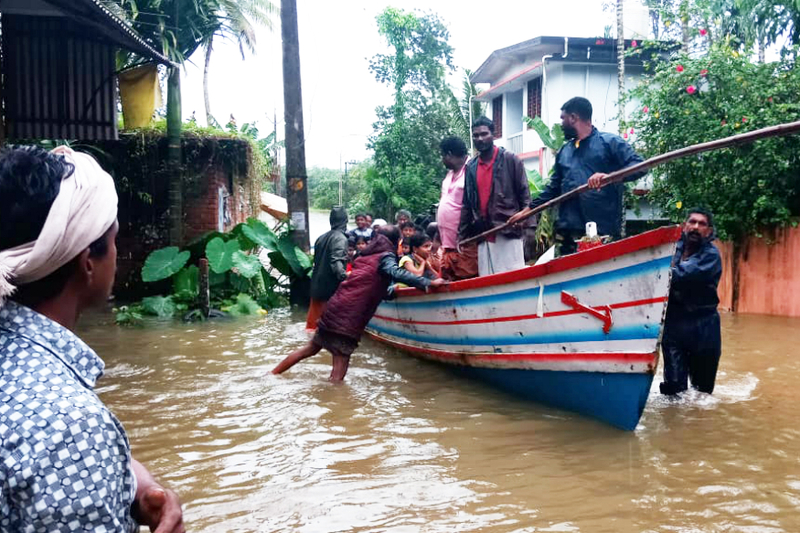 The devastating floods in Kerala have left around 370 persons dead and lakhs displaced, forcing them to take shelter in relief camps. The 24-hour online auction will begin at 8 p.m. on Wednesday. It is open to serious collectors as well as first-time bidders, and is a no-reserve auction. All lots can be viewed online on storyltd.com.